As great things often do, these sessions started with a simple conceptual challenge. This challenge was the brainchild of Bonnie, after being asked by Spiritual Pajamas co-founder Britt Govea if he would have interest in simply singing a song with Mariee Sioux at some point in the future. His reply was a challenge and that challenge has given birth to this collection of tunes. 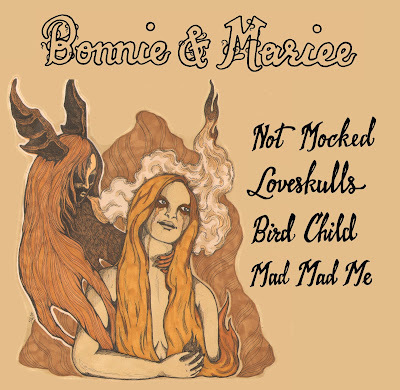 Bonnie offers a stunning original tune, and Mariee returns the favor with her own original and equally stunning song. 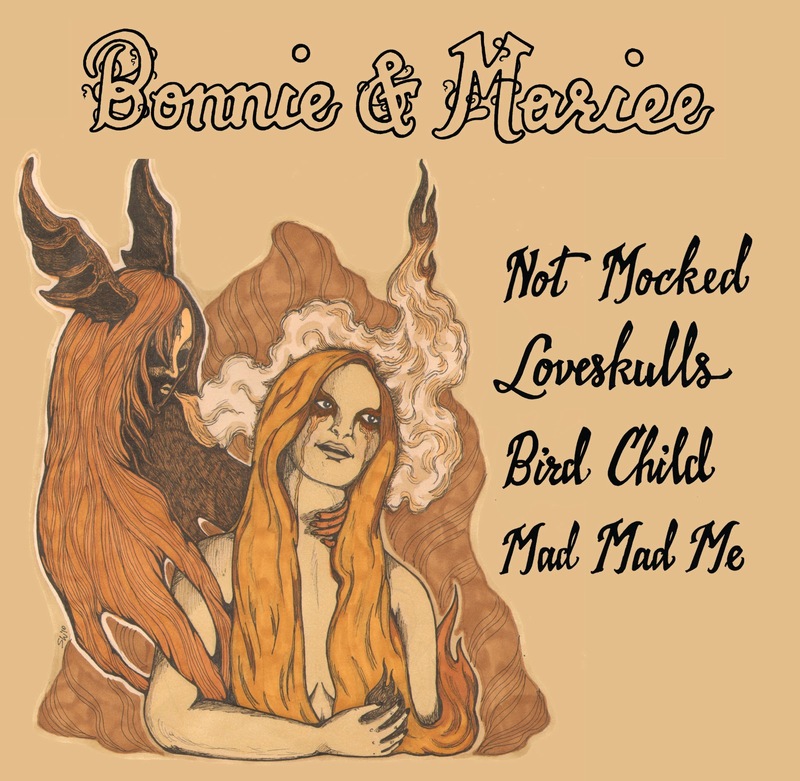 After the two original Bonnie & Mariee songs were recorded, the fun and productivity simply could not be contained and four additional cover songs were put to tape by analogue recording master Jonathan Wilson to round out this legendary session. These wonderful recordings feature a dream band of musicians: Paz (A Perfect Circle, Zwan & The Entrance Band) on bass, Nate Walcott (Bright Eyes) on keys, Jonathan Wilson on guitar and percussion, Farmer Dave Scher (Beachwood Sparks & Jenny Lewis) on slide and additional keys, Derek James (The Entrance Band) on drums and Dave Brennen (Hope Sandoval & The Warm Inventions) and Emmett Kelly (The Cairo Gang) on additional guitars. Flowering tongues, love skulls, whales trapped in ice, be thou not deceived and touch yourself a hundred times. These songs will carve a place in your heart and tattoo your brain for ages to come. This very limited edition double gatefold 7” vinyl release from Spiritual Pajamas is a must hear for fans of Bonnie 'Prince' Billy, Mariee Sioux, and for all fans of finely recorded and performed music. Leave your shape behind, because when the avalanche slips off of your face the circle will close, God is not mocked…Bonnie & Mariee!